I don’t know about you, but I could use some new rainwear. I love this first raincoat from ASOS because it has more pizzaz than a typical tan trench coat. It’s also on sale and won’t break the bank! Of course if you love tan trench coats, what’s more iconic than a Burberry trench? Made in England from cotton-gabardine and their famous checked lining, Burberry trenches have all the hallmarks of a military, “Kensington” style coat. Burberry also has long and short trenches in a variety of colors. And since we’re preparing for rain, we’ll need an umbrella. Keith Richards… Have I got an umbrella for you! The handle on this Alexander McQueen umbrella matches the silver skull on your ring. You can also have an umbrella with Sugar and Etta’s image running around the edge! You know they’d appreciate that. 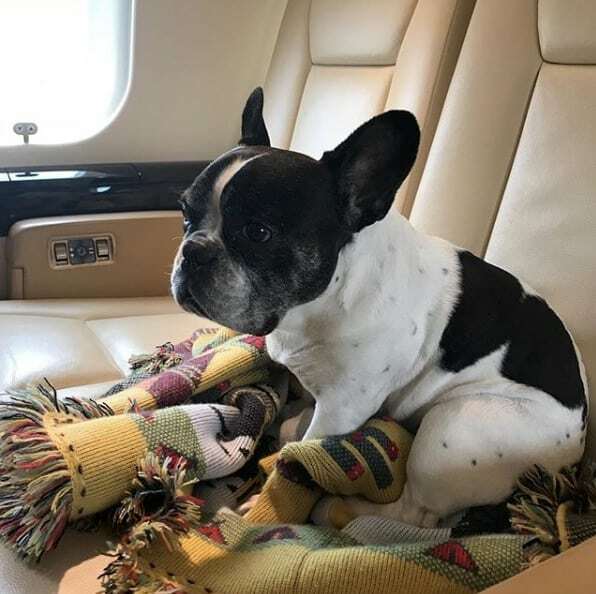 For those of you who don’t know, Sugar and Etta are experienced world travelers. 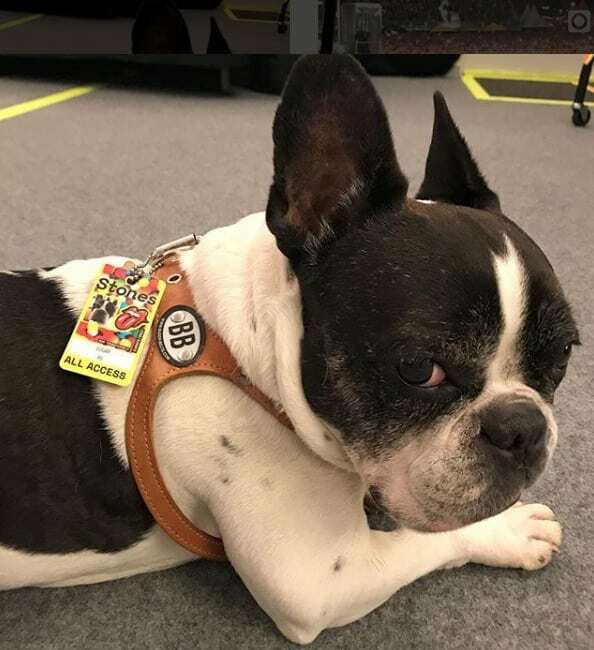 They even have their own Rolling Stones’s VIP backstage passes–with barcodes–they wear on their collars. Hey! Security’s tight back there! Now for some Singing in the Rain Boots! Stay safe out there, my friends! Turn around. Don’t drown! I used to have shiny black rubber boots that I just loved. Now I have rubber boots with multicolored polka dots. They make me smile. I have a khaki trench that gets much use, but I would also love a shorter, bright yellow or bright red shiny trench. I also have a microfiber waterproof that I bought during a downpour in Paris years ago; it still looks great and, very practical, it has a hood, so an umbrella isn’t necessary. Here in the south of France, it’s warm (mid-to-upper 80s) and bone dry. Still swimming. I wish you could send some of that rain this way. Have you tried clothing from ASOS? Their website is loaded with fun fashion and the company mission admirable. Not sure, however, about buying from across the pond—and all the issues that returns might entail. We need some rain! I don’t need boots, raincoats or umbrellas. Although that McQueen one is quite the thing. Rain is what we need in California. BTW, theose Stones collars are just the best. I rarely have a need for a raincoat here in dry Idaho and what a shame because raincoats can be a neat fashion accessory. I wore my rain poncho while hiking in England this month and though it was quite unattractive, and could double as a parasail, it did the trick. Honestly, you can find very nice raincoats at thrift shops! People are always getting rid of them. I have promised myself a knee-length raincoat for years… and those two by ASOS are both fun and chic. This may finally be the year I sing in the rain, rather than run for cover under a tiny umbrella! Thank you for doing the leg-work, Brenda!